This is one of our absolute favorite recipes from our preschool curriculum. 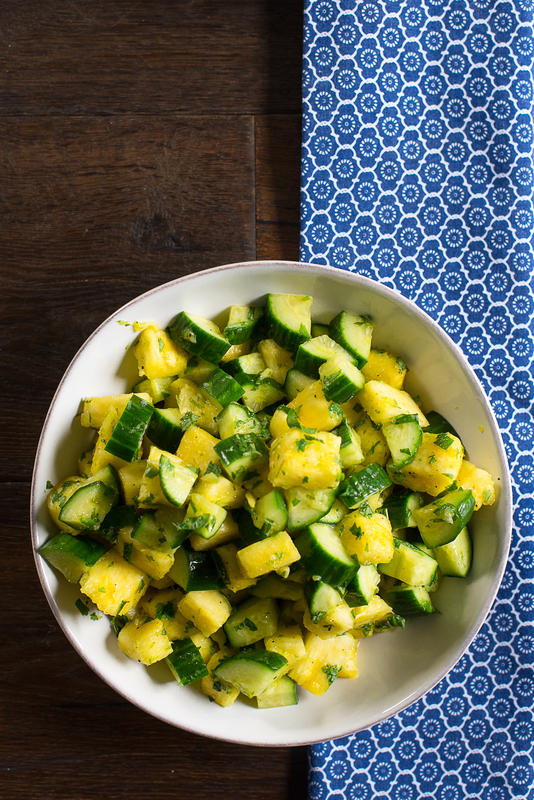 Cut pineapple and cucumber into bite-sized cubes. Toss with lime juice, zest, cilantro, and mint. Enjoy!